Left to Right: AKC. Ch. Black Gold Kiss Me Good Bye CD "Kelly" at age 13 1/2, Dam of AKC. CH. Black Gold On Fire at Boniglen "Sizzle" at age 7, Dam of AKC. CH. Black Gold Susie Q of Boniglen "Susie Q" at age 2 and her sister AKC. CH. Black Gold Show Me The Money "Sassy" at age 2. 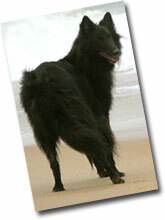 Currently, I share my home with eight Belgian Sheepdogs (Groenendael), one mutt, and a few more animals. Until recently I had four generations of Groenendaels in my home. Since 1982, I have been involved with this breed. 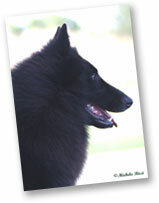 Here at Black Gold, we breed for temperament, health, and breed type. 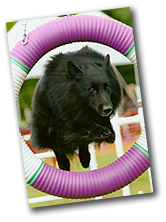 We like the original European Belgian breed type; therefore our breeding program is based on some of the top European lines. 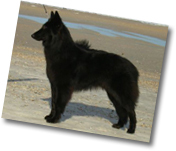 As a result, from time to time, we could get a Tervuren out of the Groenendael litter. I have been working with Belgians since 1982. After many years of experience with this superb breed, my love and admiration for the Belgian Shepherd gets stronger every day.